Tashelle a.k.a Shelly began MomentUs Occasion and MomentUs Travel in July 2007. 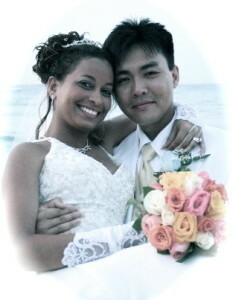 She was a bride in June 2007, and realized the complications first hand of being a destination bride. As soon as she returned from her wedding on the beautiful island of Jamaica, she made it her personal mission to fill the gap in the destination wedding industry. Not Just Your Wedding Planner! She holds a BS in Information Technology & Business from Clarkson University, which has allowed her to work in various business environments; although she finds the most thrill and fullfillment as a Wedding Consultant. Upon making the decision to start her own wedding planning business she became certified as a wedding planner by the American Academy of Wedding Professionals, joined the Association of Bridal Consultants and worked as a day of wedding coordinator for Queen of Hearts Wedding Consultants, in Philadelphia, PA. Beyond her training, Shelly is naturally a good listener and problem solver. She has realized how important it is to not only plan or coordinate a brides wedding, but to know and understand the couple. She will take the time to learn about who you are, what makes you tick and what gets you excited. After all, a wedding should be a depiction of all that you represent and all that you will be together as you begin your future. Your wedding day is only the beginning of the magic that is yet to come. As a mom of two, Shelly spends her down time being a dedicated wife and mother, cooking, baking, traveling, taking photos and being a good friend to her loved ones.